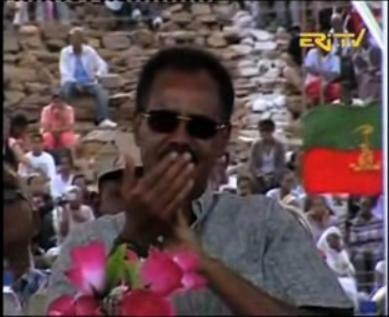 Isaias Afewerki was hailed by Eritreans as the great liberator of the people when he became the nation’s first president in 1993. Isaias started to reconstruct the nation, promised to respect human rights, hold free and fair elections, and build a strong economy with jobs for all. Eritreans were to be rewarded for their struggle. But these rewards never came. Human rights groups say Eritreans are being imprisoned, tortured and killed in increasing numbers. The Old Guard setting in to the sunset!! 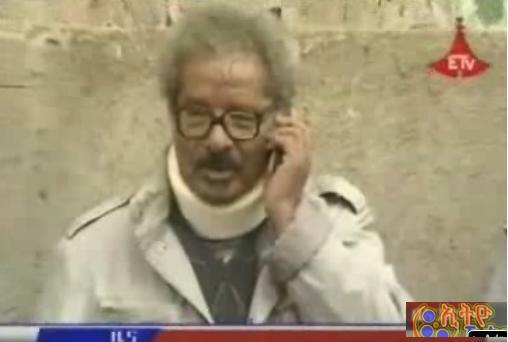 As if loosing UDJ, Kinjit and Derge was not enough pain in the neck for Professor Mesfin, Dr Merera, Mederk Chairman, was poking fun on the Professor saying “azawuntu (the elder) was demonstrating alongside the kids”!! Teddy Afro the Good Samaritan!! The very successful fund raising event Teddy Afro held at the Addis Ababa stadium is one of its kinds ever! Teddy teamed with a very successful local NGO, Elshadai Relief & Development Association that has helped thousands of street dwellers of Addis to resettle successfully back in their home state. Teddy you are appreciated very much! 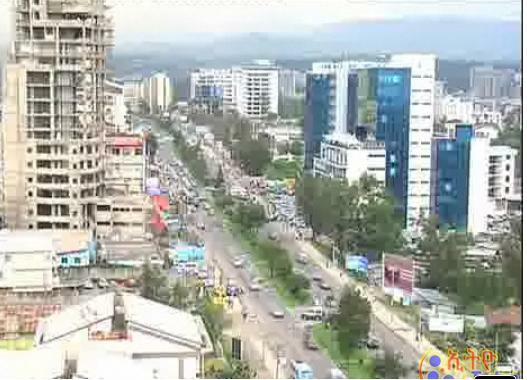 Remain true to Ethiopia! 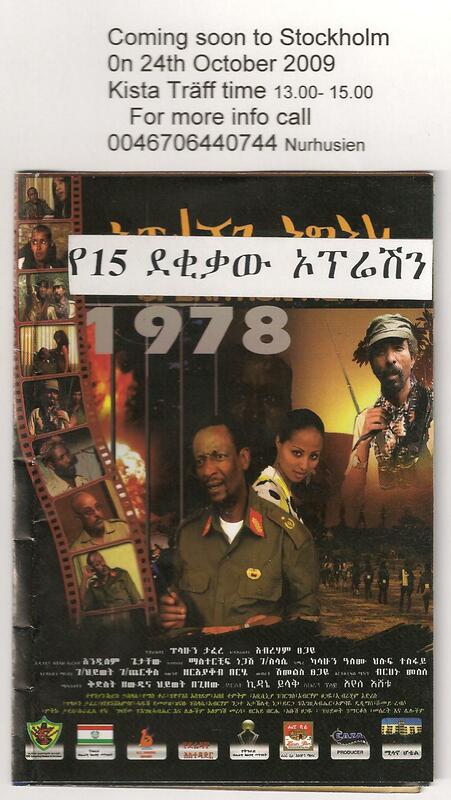 To learn more on Elshadai listen to an online(gezategaru paltalk room) interview with Director Ato Tesfai Hailu. Mekele, October 17 (WIC) – More than 258, 000 households living in drought-affected areas became food self-sufficient, the Ministry of Agriculture and Rural Development (MoARD) said. The headline to the UN's own report on the Security Council meeting on Somali last week said it all: “Many challenges still needing international attention”. High among them is the issue of sanctions to deal with “spoilers” as requested by the regional body, IGAD, and the African Union, as long ago as May. 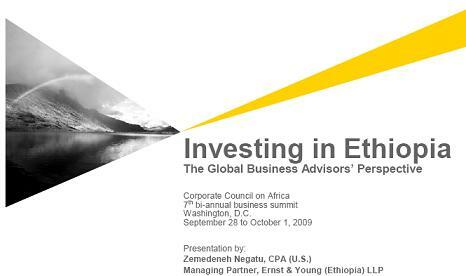 Eritrea: Spoiler Exacerbates Crisis in the Horn of Africa and Beyond by J. Peter Pham, Ph.D.
Vice Chairman of MEDREK, Ato Gebru Asrat during an online discussion ( listen) with Diaspora Ethiopians mainly Tigreans, said EFFORT(t'em'et) a huge endowment belongs to the people of Tigrai. Many opposition including some of the current members of MEDREK, have used EFFORT as a source of contention and an excuse for the extremist to attack people of Tigrai. The question is did MEDREK members including UDJ change their stand on EFFORT or ARENA is ready to compromise on EFFORT and change its stand? October 11, 2009 (ADDIS ABABA) — With Ethiopia’s national election approaching to go, some opposition groups have reportedly begun to hint boycott from the upcoming election..."Currently the party has no intention to boycott election nor did it yet set any preconditions on to it" Gebru Asrat, the person in charge of public relation and vice chairman of the group"
As expected Mederk has started the double talk habit many undisciplined and hodgepodge coalition is known for! While Gezachew is quoted saying unless Birtukan is released they will not participate, Gebru is telling the world they will not put any precondition. Which segment of our diverse population is UDJ representing in Mederk any ways? We all know who Dr Merara, DR Beyene and Ato Gebru are representing but what about Gezachew of UDJ? 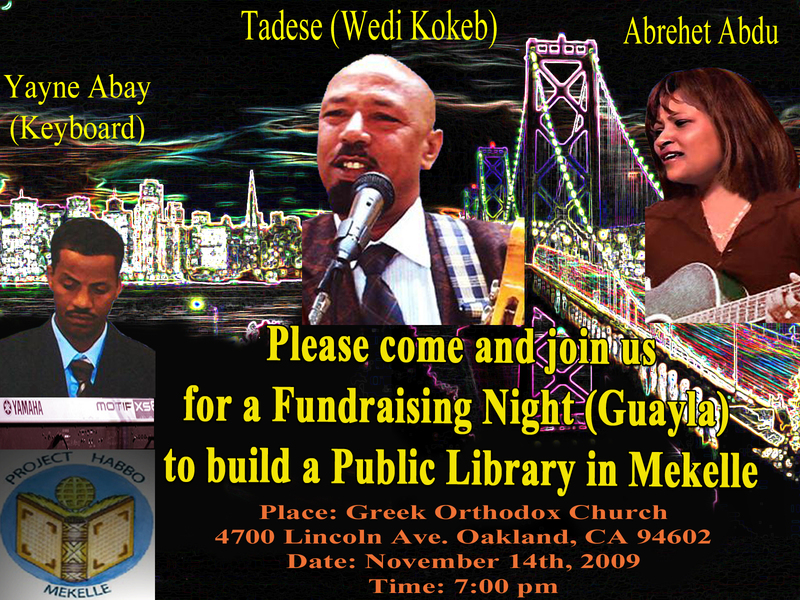 Fundraising Party for Mekelle Library Project! !